Some top Nigerian artistes are being considered for a Grammy Award come 2019. 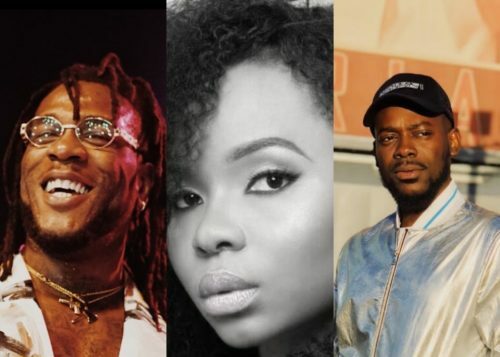 It’s more recognition for Nigerian artistes, Adekunle Gold, Yemi Alade, Burna Boy as they’re being considered to be nominated for the upcoming 61st Grammy Awards. The above mentioned Nigerian artistes would be nominated in the ‘Best World Music Album’ category. This follows earlier news that Seun Kuti picked up a Grammy nod for his album ‘Black Times’. Top Nigerian entertainment consultant and A&R Bizzle Osikoya let out the news which as also confirmed by MTV Base VJ Ehiz. Grammys better act right now … Seun , Yemi , Damini and Adekunle … what a time to be alive!! !